Geeta Basra is the wife of the Indian cricketer Harbhajan Singh. Check out this biography to know about her childhood, family life, achievements and fun facts about her. Geeta Basra is a British-born Indian film actress and model who became popular for appearing in a couple of Emraan Hashmi-starrer movies like ‘Dil Diya Hai’ in 2006 and ‘The Train’ in 2007. She is also famous as the wife of Indian cricketer and off-spinner Harbhajan Singh, with whom she has a daughter. In 2009, she appeared in the music video for the song ‘Ghum Sum Ghum Sum’ from the album ‘Collaborations 2’ by Sukshinder Shinda, sung by Shinda and Rahat Fateh Ali Khan. Her later filmography includes a special appearance in the political thriller 'Zilla Ghaziabad' in 2013, the comedy films 'Mr Joe B. Carvalho' and 'Bhaiyyaji Superhit' in 2014 (the latter was released in 2018), and the romantic comedy 'Second Hand Husband' in 2016. 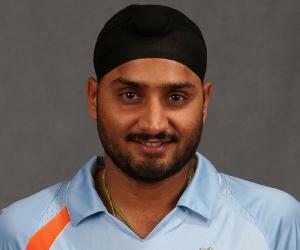 Harbhajan made a special appearance in the film 'Second Hand Husband'. She has also worked in the Punjabi-language film 'Lock' in 2016. She has made a couple of guest appearances on the celebrity talk show 'Comedy Nights with Kapil' in 2015, both with her husband and her 'Second Hand Husband' movie co-stars Dharmendra and Gippy Grewal. She also guest starred in an episode of 'Nach Baliye', which Harbhajan was a judge of. Geeta Basra fell in love with Indian films when she was only a toddler and used to sing and dance to her favorite Bollywood hits. After turning 18, she decided to put her criminal psychologist career on hold and travelled to India with her parent's blessings to venture into the Hindi film industry. She had to work hard for the next few years as she not only had to build a network, but also had to learn the idiosyncrasies of the Hindi language and polish her accent. While she was able to understand the language, even read and write a little, she could not speak Hindi fluently. Thankfully, she was able to bag "stereotypical girl from abroad" roles, which advanced her career. After about three years of struggle, she debuted in Bollywood opposite Emraan Hashmi and Ashmit Patel in the 2006 Hindi thriller film ‘Dil Diya Hai’, which also starred veteran actor Mithun Chakraborty. She played the role of Neha Mehra, the female lead of the film. The very next year, she got another role in the Emraan Hashmi-starrer, ‘The Train’, in which she played the supporting role of Roma, a working woman who becomes involved in an extramarital affair with the lead male character. This was her breakthrough role that earned her popularity in the industry and opened up further opportunities. Geeta Basra was born on March 13, 1984 in the city of Cosham in Portsmouth, England to Punjabi Indian parents Rakesh and Parveen Basra. Her parents have owned the Stop and Go shop in Arundel Road, Landport since the early 1990s and the kids also helped occasionally during their summer holidays. She studied at Mayville High School, in Southsea, which was a small girls-only school back then. She then attended South Downs College where she secured A-levels in IT, psychology, sociology and English language. She was studying to become a criminal psychologist before entering the entertainment industry, and dropped out to follow her dream. It took the 18-year-old five months to convince her parents to let her leave home for India. She has a younger sister named Ruby Basra, who is a cricket enthusiast and lives in England with her family. She also has a brother named Rahul Basra who lives in Portsmouth. She later studied acting at Kishore Namit Kapoor’s Acting School in Mumbai. She once had the privilege of meeting football legend Pele. Geeta Basra was in a relationship with Indian cricketer Harbhajan Singh for over five years before getting married at a simple and traditional gurudwara wedding on October 29, 2015 in Jalandhar, Punjab. While the wedding ceremony was attended by close friends and family members, the couple also hosted a grand reception in Delhi on November 1, 2015. The couple welcomed a daughter named Hinaya Heer Plaha on July 27, 2016 in Portsmouth, Hampshire.